Company - Lightspeed Systems, Inc.
Lightspeed Systems has been serving schools since 1999. It’s our mission to provide IT with the tools it needs to succeed. We also love what we do! Education is undergoing a technology revolution. New devices and tools are added to classrooms every day. The IT department is responsible for keeping all this technology well-managed, safe, and functional. This is where we help. 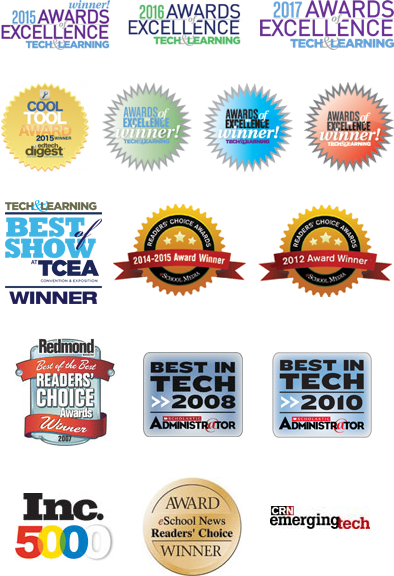 Lightspeed Systems partners with schools to make learning safe, managed, and mobile. We're always looking for great talent to join our company. Brian creates a unified mission to protect and prepare all students -- and guides all divisions within the company toward achieving it. Carson crafts a vision of the Relay product that gives schools what they need -- and things they didn't even know they needed. Chris ensures that every purchase schools make is for the right solutions that will drive them toward their goals. Amy puts 25 years of ed-tech experience to work to communicate the value of Lightspeed solutions when it comes to solving real-school problems. Ken keeps our dev team on track to deliver great products and ongoing enhancements that just work the minute you turn them on. Rob makes sure from implementation through ongoing use, schools get the greatest, quickest results from our solutions. John ensures customers get the expert help they need when they need it, where they need it. Greg keeps us all on track to always be able to deliver great products at a great price for schools. Mike drives the industry relationships that make it easy to buy our solutions with your devices or through your favorite partner.